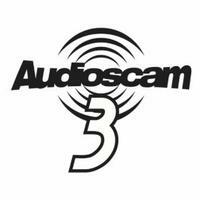 This is the third Audioscam release and each of them is different. This one is most like the previous one, though. It has a great pop music style that’s accessible and entertaining. I might have arranged the songs in a little different order, but this is good stuff, either way. I think the introduction on this one is played on ukulele. They work it out into a cool pop jam with a bit of reggae in the mix. Somehow this makes me think of Black 47 a little. This is acoustically driven and a lot of fun. The horns on this later are a great touch. This rocker shares the energy and sense of fun of the opener. It’s more electrified, though. It’s still fully melodic, though. The introduction of this makes me think of The Pretenders for some reason. As it moves out into the song proper, though, it’s got more of a 1970s pop rock vibe. Comparing this to something like Tommy James wouldn’t be out of the question. It’s upbeat, positive and good melodic rocker. There are some almost progressive rock changes on this, though. There is almost a punk vibe to this. That’s combined with an Island element and some 80s music. This is a fun little rocker. It’s energized, but the least accessible of the set. I think it should have probably had a different position here to give this a stronger finish.